Thanks to our friends at Chaleur Coffee Shop, My Epic and Levi The Poet will be stopping in Mobile, Alabama for a special, stripped-down and intimate "Silent Show" show in the city's historic location. 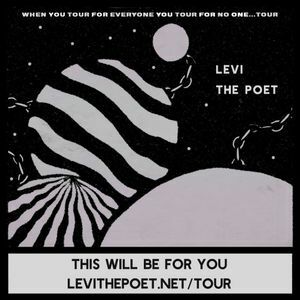 My Epic's Aaron Stone will be playing a unique, solo acoustic set, and Levi The Poet will be showcasing his spoken-word performance poetry. John Mattheau will be opening the evening. This evening will be entirely unique from the rest of the tour, so if you'd like to experience it, consider yourself invited. Pay the invitation forward to a friend or family member, and come join us over a cup of coffee in Mobile, AL!